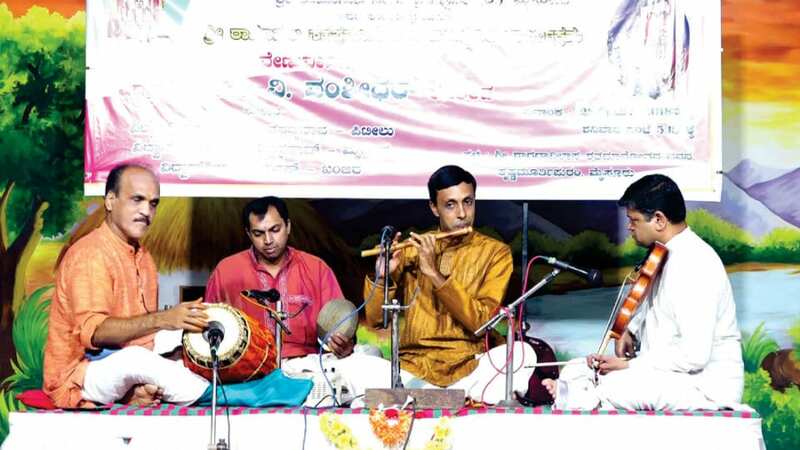 Mysuru: The valedictory function of Sri Ramanuja Sahasramanotsava was organised by Ramanuja Sahasramanotsava Sabha Trust at Sarada Vilas Centenary Hall in Krishnamurthypuram here recently. Gracing the occasion, Sri Ganapathy Sachchidananda Swamiji opined that religious rituals and pujas should be performed with faith and concentration and not just as any ritual to reap good benefits. He said that Sri Ramanujacharya was literally an incarnation of God. He added that any prayer should be advocated as a part of life and sought the involvement of more youth in religious programmes. Scholar K.S. Narayanacharya released a commemorative volume ‘Sahasraphani.’ Columnist Dr. H.V. Nagaraja Rao, District Co-operative Union President H.V. Rajeev, District Brahmana Sangha President D.T. Prakash, Trust President B.N. Parthasarathy, Vice-President H.V.L.N. Achar and others were present. Sri Veeraraghavacharya Swamiji of Lakshminarasimha Kshetra, Belagola graced the occasion.